We’ve covered the dress, but a wedding outfit is not just a dress alone. There’s a whole other battle with the accessories. This is a battle in itself. Are you a killer heel girl? Or elegant flats? 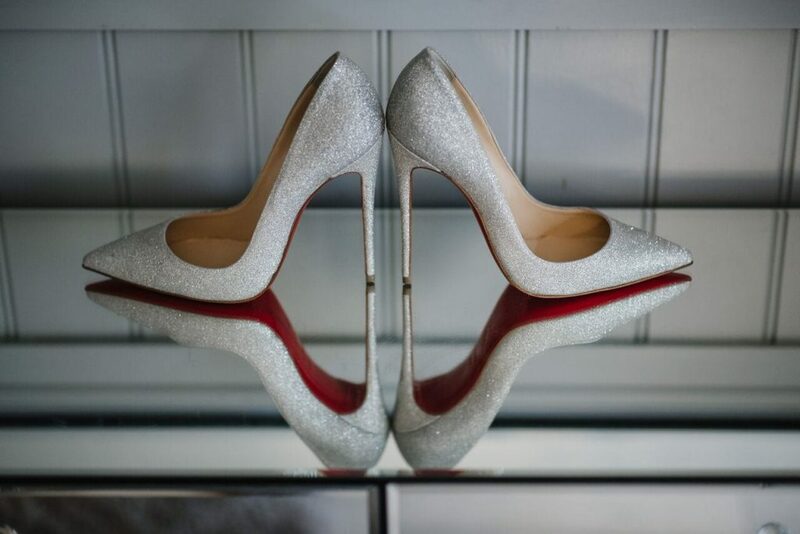 I’m personally a use-my-wedding-as-an-excuse-for-designer-shoes girl… Whatever shoes you have in mind, make sure they’re (you know what I’m about to say) comfortable. 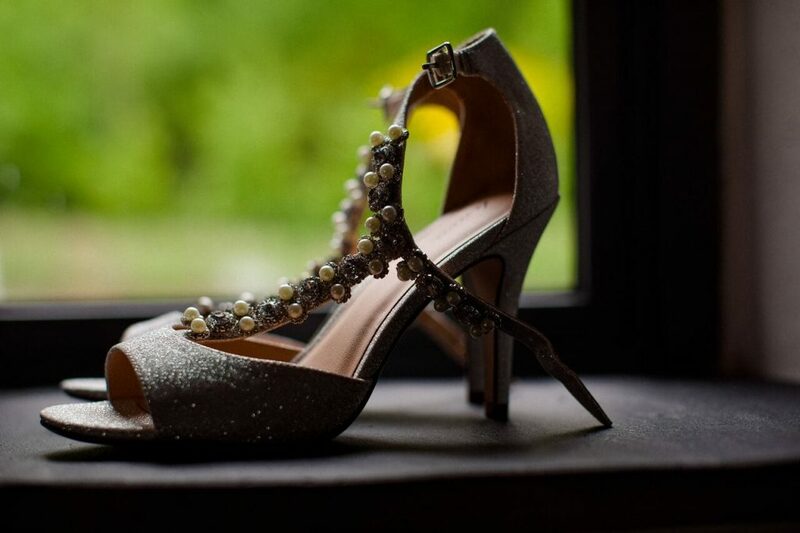 We all know that the wrong pair of shoes can ruin any day or evening, so don’t let that be the case for your wedding day. 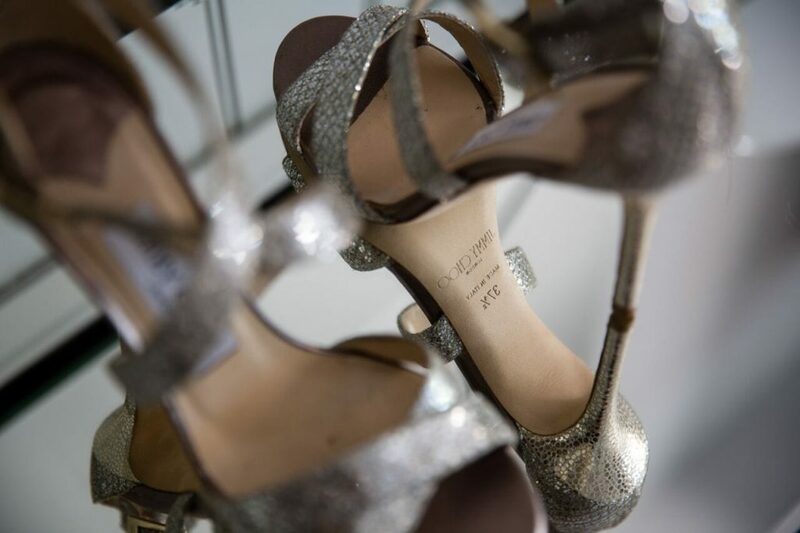 A common ‘plan’ for brides-to-be is wearing amazing high-heeled shoes for the ceremony and photos, and a pair of comfortable flats for the evening. Sounds like a flawless plan, right? Wrong. 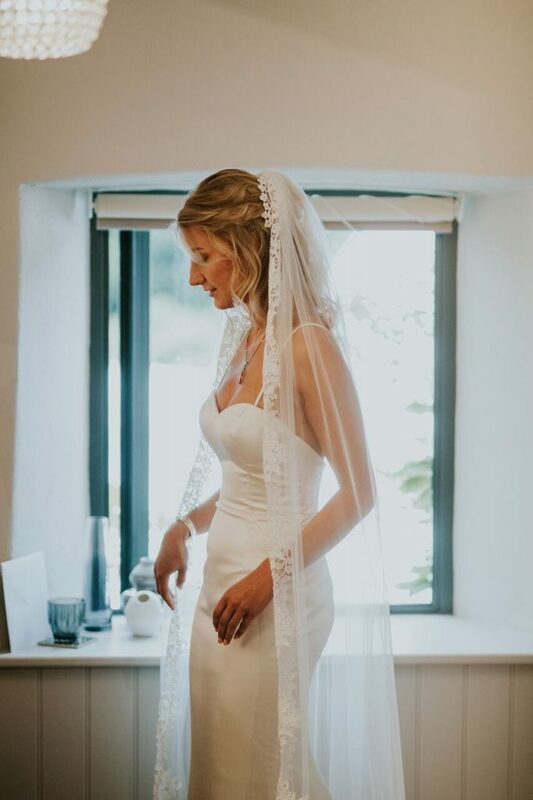 Brides always forget about their dress length. If you have your dress measured and hemmed with your 5-inch heels on, then your dress is going to be 5 inches too long when you change into flats. No-one wants to spend the rest of their day tripping over their dress hem, do they? Or even worse, if you have your dress measured in flats but then wear heels for your photos then your dress will be 5 inches too short, which is an aesthetic disaster. Solution? Pick a pair of shoes that you’re happy to wear all day. And (unless you’ve got a short dress) they’re going to be mostly hidden so they don’t have to be super amazing to look at (although if you can get comfort and fabulousness then everyone is a winner…). So, you’ve sorted the dress and the shoes. What else? Jewellery, veils, hair pieces, something blue… There’s a world of accessories out there. My advice would be to not overdo it on the accessories. 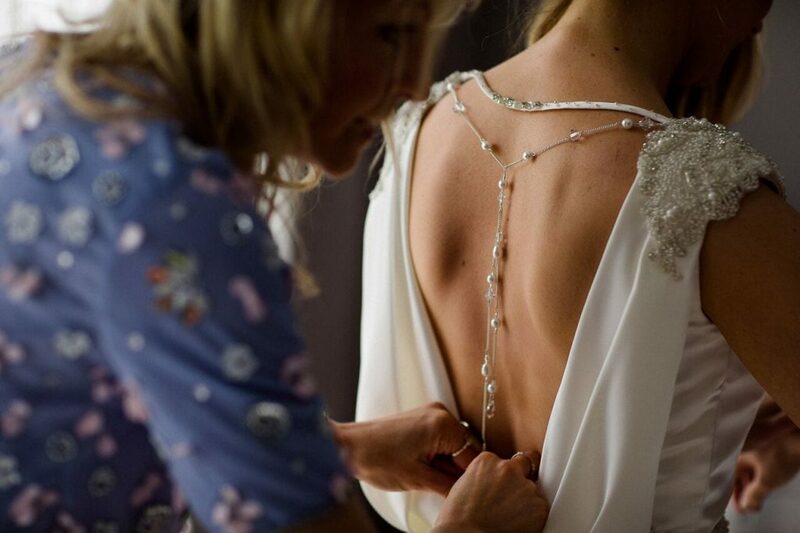 Your dress will speak for itself and sometimes less is more. Simple studs and a delicate bracelet or necklace will do the trick, and a veil if that’s your ‘thing’. Sometimes a small hairpiece can look uber elegant, or maybe just some hair flowers (more on those later). It’s about defining what your overall bridal style is and working the accessories around that. Maximum glam calls for sparkles and headpieces, whereas traditionally elegant calls for single pearls and a veil. Open or low back dress? You could even try some back jewellery! Whatever you decide, make sure it’s your decision and that you feel great.